Charming 5 Bedroom, 4 Bath home with private, heated swimming pool and relaxing views of the ocean and Intercostal Waterway from 3 large decks and covered porches. Professional landscaping with palms. Take in the views from the porches in the comfortable rocking chairs or take a short 3 minute walk to the beach to feel the sand beneath your feet and enjoy the warm Atlantic ocean. This home sits in a perfect mid-island location, easily accessible. Fully equipped kitchen with dishwasher, microwave and washer and dryer. Flat screen TVs and DVD players in each bedroom and large flat screen with DVD player in the living room. Wireless internet access available. There is a large dining area outside by the pool that is landscaped with large palm trees. New outdoor polywood furniture. Convenient outside hot/cold enclosed shower. Plenty of covered parking and guest storage shed available at ground level. This is a dog friendly home with an additional non-refundable fee. Pool can be heated for an additional $75/day October - May. Non-smoking. Upstairs: King, 2 Bunk bed sets, Queen. There is an additional twin sleeper sofa on upstairs landing. Love, love love this home! Beautifully decorated & so relaxing! It was so nice to have the beds made & linens provided! The location is great also! Thank you so much for sharing with our family & we could even bring Max too! Felt like we were at a true Southern Home with the great porches, decks, pool, & palm trees! Would definitely rent again & that shower in the master downstairs! Thanks again! The Murphys & Max! We greatly enjoyed our stay. The home was nicely laid out, very clean and well equipped. We had no problem finding the things we needed. The location was perfect. 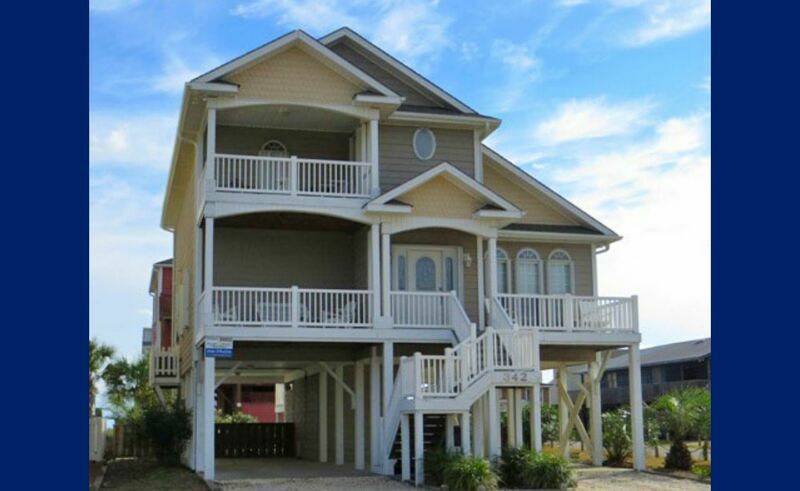 Quiet, close to the beach and a beautiful view of the marsh. The pool was great and was big enough to handle all of our party at the same time. Deck furniture rockers, composite wood bar table and chairs were well liked. The home can accommodate families of all types children, pets.Everyone in the grouped loved the house and had an awesome time. We highly recommend this home.